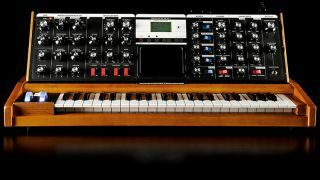 It was the synth that relaunched Moog as a modern-day synth manufacturer and, arguably, the one that got everyone talking about analogue again. However, after 13 years, production of the iconic Voyager is coming to an end. A legend in its own lifetime, the Voyager went into production in 2002 and was the last synth to be designed by Bob Moog from start to finish. It set the tone for pretty much everything that Moog has released since, and as widely regarded as one of the best hardware synths you can buy. There have been various editions of the Voyager down the years - in all, some 14,000 were made - and Moog will be saying goodbye by handcrafting 600 final units at its factory in Asheville, NC. The Performer and Electric Blue versions of the Voyager will remain on sale until stock runs out; if you already own a Voyager, Moog is offering a 20% discount on all upgrades, modifications and calibrations to domestic customers (which we guess means those in the US) until the end of the year.